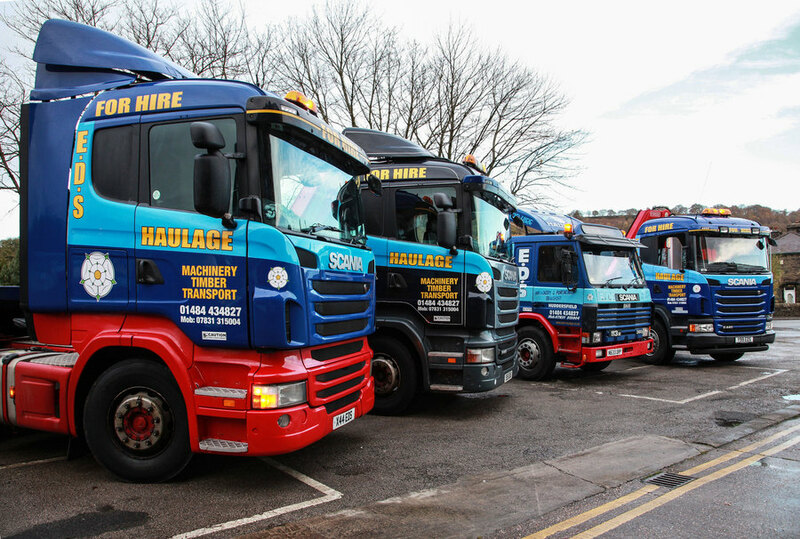 EDS Haulage and Lorry Loader Hire became a limited company in 2015, however have been established in Huddersfield, West Yorkshire since 1988, providing flexible and professional haulage services to the building industry. The company started with just one rigid crane vehicle but this has now grown to a fleet of eight. Our extensive services include transport of timber frame structures, roof trusses, portable site cabins and stores, steel work and erecting, and machinery transport removals and installations for companies throughout the UK. Our staff work with specialist lorry loader crane vehicles every day, so are highly experienced and proficient at providing you with the safest and best service possible to ensure the transportation of your goods / machinery goes without a hitch. To discuss your transportation requirements please contact us.